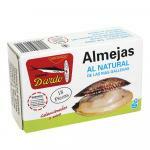 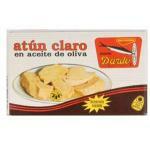 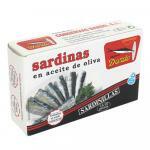 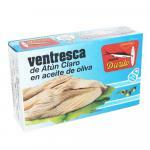 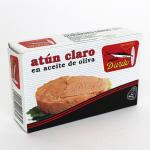 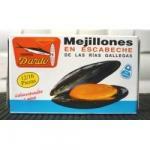 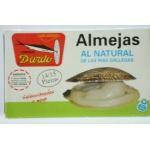 Uvinum offers you gourmet of Dardo to buy saving money. 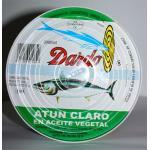 From only $1.06 you can have gourmet of Dardo in a few seconds, wherever you are, from any device , and we'll bring you your Preserves Dardo at home with a great VFM like the Marinated Sardines Rr-125, 3/4u. 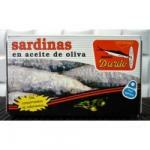 PRODUCT DESCRIPTION: Sardines in Olive Oil Rr-125, 3/4u is selected the most silver, an oily fish, high in omega-3, we can taste them alone or accompanied, salad, pie, with pasta, etc.. 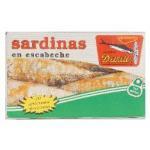 PRODUCT DESCRIPTION: Marinated Sardines Rr-125, 3/4u is selected the most silver, an oily fish, high in omega-3, we can taste them alone or accompanied, salad, pie, with pasta, etc..